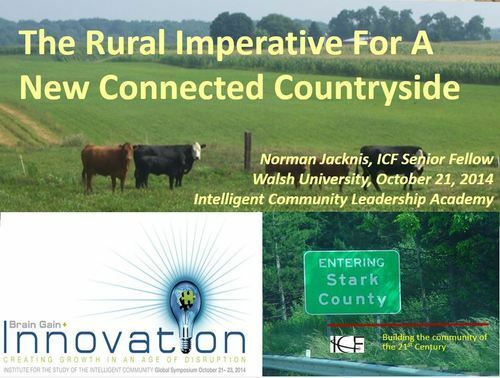 The Intelligent Community Forum (ICF) has been around for more than a dozen years and has developed a large knowledge base about the pre-conditions for creating an intelligent community. But, over the last year or so, ICF has expanded its reach and enlisted various universities in the effort. Last month, for example, I was at Walsh University in the heart of what was industrial Ohio. It has become the first of the academic settings for the intelligent community movement. 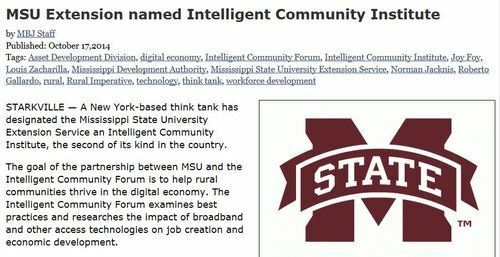 I’ll keep you updated as these three universities start to generate more about intelligent communities. What’s Money In An Internet Economy? Two hundred years ago in an era dominated by agriculture, most of the people in the US had little use for money. Then the industrial era arrived and a majority of Americans were paid for their labor in cash and used it to obtain the necessities of life. Now we are in another transition. So how should we think about money in the Internet age? How is the traditional role of the dollar, pound, euro, etc. being disrupted by the changes the Internet is bringing to the economy? I’m referring to money as a form of exchange of value which can be easily transferred. There have been barter exchanges for many years, even before the Internet. That’s not what this post is about. Below are some of the answers I found. First there’s Bitcoin. Despite the woes of the Bitcoin exchanges earlier this year, Bitcoin has been, in some quarters, proposed as the Internet’s new version of money. However, its major difference from traditional currencies is its independence of government control. Beyond that not unimportant aspect, Bitcoin doesn’t seem to be based on a fundamental difference in how money is viewed or used. While the Internet made it possible, Bitcoin hasn’t so far really answered the question: what is the Internet doing to money? What is money in an Internet economy? 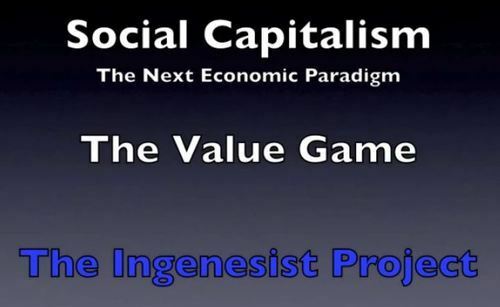 Then, in a recently posted TED video, Michael Green presented his alternative Social Progress Index, which is intended to capture some of that non-monetized value by assessing the quality of life. But how can people measure this so it can support individual exchanges and thus provide incentives for more social progress? The TimeBanks movement is, in a sense, in the business of creating a currency based on social progress. For almost two decades, this group has been getting people to provide and receive social services through a system of credits based on the number of hours of service a person provides. Value can go beyond social contributions to social reputation. More than ten years ago, Cory Doctorow, the science fiction writer, coined the term “Whuffie” for a currency based on social reputation. As social media have developed, the idea has been recurrent, more recently – as in this article “Why Social Accountability Will Be the New Currency of the Web”. There was even a short-lived Whuffie Bank. I’d suggest going to his website for more detail and the many videos which I can’t begin to elaborate in this short post. What we do about measuring the products and services that are generated in the digital world is still unclear. Perhaps one of the ideas I’ve listed will lead to the world’s dominant form of currency or perhaps something else will arise. But I would expect that the way we’ve thought about and used our money in the past will indeed be changed – and not all that far into the future. 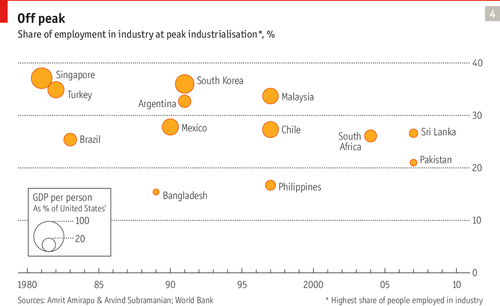 Is Industrialization Still A Useful Strategy For Developing Nations? Last month, the Economist had an article titled “Arrested development: The model of development through industrialisation is on its way out” – well worth reading. It started by describing how China successfully followed the previous model of industrialization by Japan and South Korea, among others. In turn, many other emerging economies are now planning to follow the same road as China did – initiate a wealth-creating manufacturing sector that can export to the world. For most of recent economic history, “industrialised” meant rich. And indeed most countries that were highly industrialised were rich, and were rich because they were industrialised. Yet this relationship has broken down. The Economist article, however, was not complete. While it noted the impact of robots who can work cheaper than humans anywhere, it didn’t address the role 3D printing will have on manufacturing. In my presentations to mayors of North American cities, I’ve emphasized that they cannot base their future on an old industrial era model of the economy. The same is true for countries which haven’t industrialized yet. In a global economy, even with vastly unequal positions of different nations, the same rules of the game apply. I won’t repeat here the themes of my other blog posts, but, to get into that game, communications and information technologies (ICT) are a requirement. Of course, it is frequently argued that ICT has to take a back seat when a nation doesn’t have clean water, etc. I understand this argument and sympathize to a degree, but I’d also note that in fact in many poor countries there are more people with mobile phones and access to the Internet than access to a bathroom. Maybe they understand that you need, to use an old analogy, to spend some money to drain the swamp or you’ll forever be stuck fighting the alligators. For them, ICT is a path out of poverty. And, of course, from a public sector viewpoint, ICT can also help to manage and implement cleaner living conditions, sewer systems, etc. 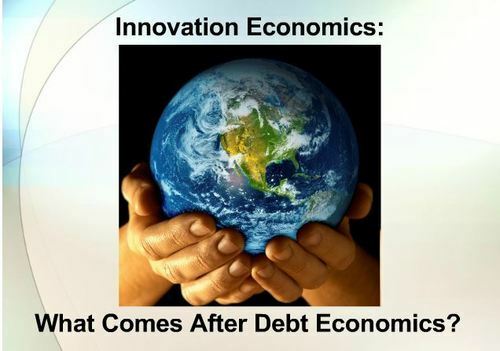 The ultimately pessimistic view of the Economist article may not be justified, since these new rules and approaches to economic growth are beginning to be understood by a number of leaders in developing nations. By ICT investments, experimentation and innovation, they are also beginning to create the new post-industrial template for growth. Mayors, governors and other local government leaders are being inundated by all sorts of “experts” telling them how to run a smart city. Often, the ulterior commercial motivation of these messages is not even well hidden. Fortunately, in recent years, an objective and disciplined set of academic researchers have stepped up their focus on these questions. The Center for Technology in Government (CTG) at the University at Albany has worked with government officials all over the world and studied their efforts to build smarter cities and use technology intelligently. As recently designated Government Fellow at CTG, I have taken a look at some of their past research and work. Lesson #4 is that cities with successful smart city services did not do this all within their own agencies. At its simplest, CTG also saw examples where private sector partners in a city who have deep experience operating call centers can be helpful in training government staff for this kind of work. Volunteer neighborhood liaisons were also used to extend the reach of 311 and related services. 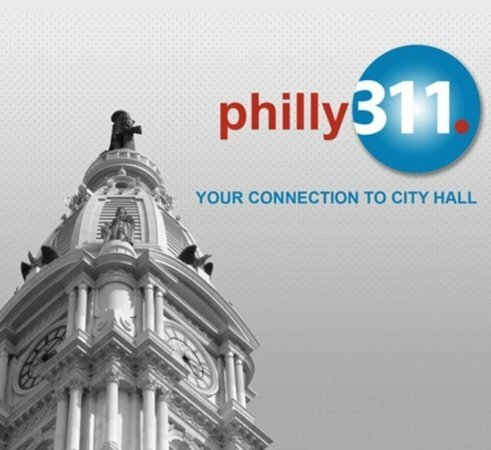 At its simplest, CTG describes examples where private sector partners in a city who have deep experience operating call centers can be helpful in training government staff for this kind of work. Volunteer neighborhood liaisons were also used to extend the reach of 311 and related services. Many times governments feel that they must take on all the aspects of an initiative, when many times there are private and non-profit organizations looking to play a role. From the citizens’ viewpoint, smart government services may require sharing data among different government entities. As difficult as it is to share data within a single government, it gets even more complicated to share between agencies of different governments. Understanding this complexity is critical to successful IT efforts. Lesson #5 is that a mayor may succeed faster by facilitating these informal networks of relationships, rather than going through the arduous process of imposing cooperation through legislation and complex legal arrangements. CTG’s research all over the world highlights this single most important Lesson #6: the most critical role in the whole smart city ecosystem is that of the mayor, who must provide consistent and visible leadership for a smart city across all agencies under his/her control and those his city interacts with. As with all knowledge, these lessons may seem obvious once presented – but not so predictable before they are presented. Indeed, it is also clear from the research that not all of these lessons have been heeded in the rush to the smart city movement and the result has been much less than mayors have hoped for.